World Teachers' Day or International Teachers' Day focuses on "appreciating, assessing and improving the educators of the world". World Teachers' Day or International Teachers' Day is celebrated on October 5 every year. New Delhi: World Teachers' Day, also known as International Teachers' Day, is observed on October 5 every year. 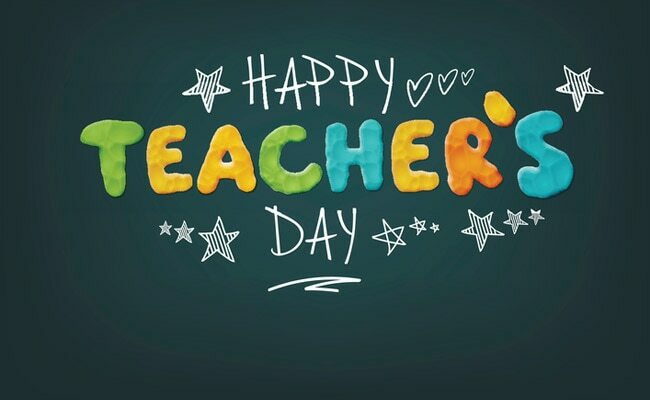 World Teachers' Day focuses on "appreciating, assessing and improving the educators of the world" and to provide an opportunity to address issues related to teachers and teaching. Every year, a theme is chosen by the UNESCO to mark the day. This year's World Teachers' Day theme is : "The right to education means the right to a qualified teacher.